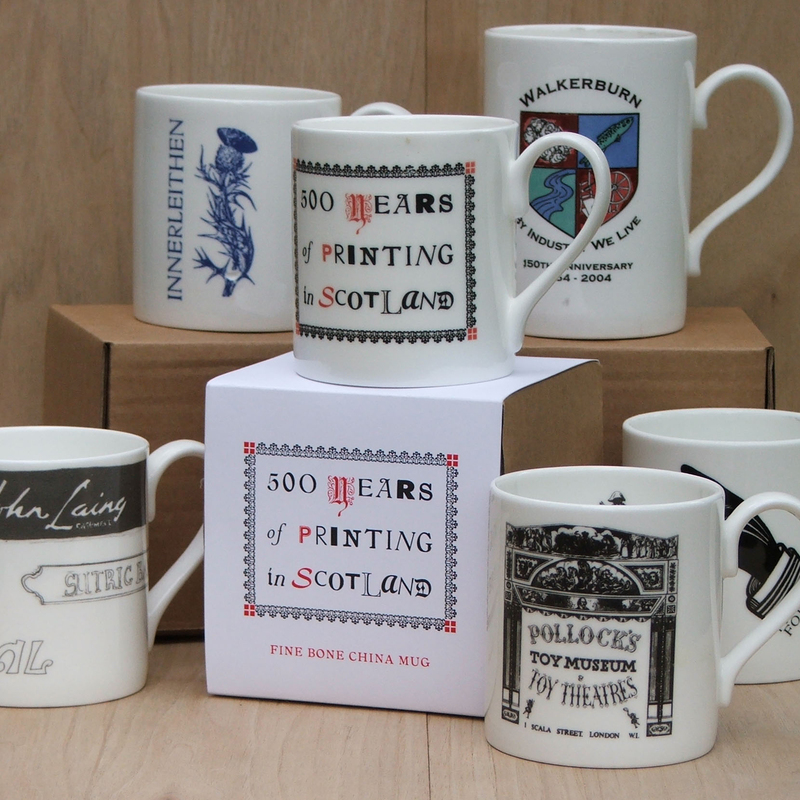 Jane Gaze -Bone china decorated with your design, full colour and line-work, small runs a speciality, commemorative, retail and corporate clients. I can supply bone china items decorated with custom made ceramic transfers (decals). This is a perfect corporate gift, commemorative item or site specific retail product. Or perhaps you have always wanted a personally designed dinner service? I have access to the services of an established specialist printer in Stoke-on-Trent who will produce digital or screen-printed transfers. He can use your existing artwork or I can develop original artwork for you. One of the attractions of my bespoke bone-china decorating service is that I can produce small runs; often businesses who offer this service will not consider orders for small quantities. I am able to offer the smallest quantity possible – “one-of- a- kind”! E.mail me with your enquiry.